Spedeworth / Incarace / Mildenhall are pleased to announce that the 2019 Drivers Licence Application Forms are currently available via the Spedeworth / Incarace / Mildenhall websites to download from the Drivers ‘Rules’ sections. Please complete the application form and post back to Head Office at the address detailed on the form alongside the payment and two new passport photographs so your application can be processed without any issues. Your 2019 log book will be available at the first meeting venue under the new licence you book-in to attend. Race bookings can be made by calling 01252 322920, on the text service 07501 828911, by email info@spedeworth.co.uk or complete the drivers booking-in form on the Drivers Page of the Spedeworth/Incarace/Mildenhall websites. 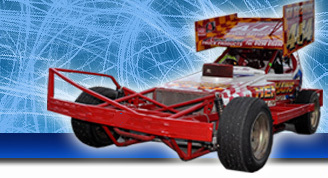 A reminder for Banger drivers registering for Spedeworth licence applications that you also need to decide via a tick box option on page 1 of the form whether you wish to be assigned to the Spedeworth EA or Spedeworth South points chart to try and qualify for your 2019 World Championship. Drivers who are unable to download a licence application form can either obtain a form from a race event or by calling 01252 322920 and an application form will be sent out to you in the post. Thank you to all the drivers who have raced with Spedeworth / Incarace / Mildenhall during 2018 and we look forward to another huge year of racing across the family of tracks in 2019!